As a dietary supplement, take 2 Vcaps twice daily, preferably with meals. Other Ingredients: Cellulose (capsule), Rice Flour, Gum Arabic, Garlic (bulb), Olive Leaf, Cat’s Claw Root, Wormwood Herb, Silica and Magnesium Stearate (vegetable source). Is it safe to take Black Walnut Extract with Wormwood during pregnancy? Black Walnut Extract is one of the herbal supplements you should avoid during pregnancy. As with all herbal supplements, and many nutritional supplements in general, it is always advisable to check with your doctor first before beginning or continuing any kind of supplementation during pregnancy. While there are many dietary supplements that are important to a healthy pregnancy, like folic acid for the prevention of birth defects, there are others that should be avoided. 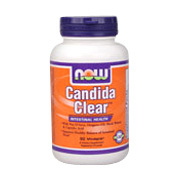 Candida Clear Formula shipped in a discrete, unmarked package. Orders are processed immediately and usually take about 3 to 5 working days to be received. We do ask that you try it for 2 to 3 weeks to feel the full effects. Any information received is used only for order processing and shipping purposes. Your information, such as e-mail address, will never be disclosed to a third party.